“Donald Trump, the Turkish president or the Russian president see things in terms of power relationships, which doesn’t bother me,” he continued, per the BBC. “I don’t believe in diplomacy through public criticism but in my bilateral dialogues I don’t let anything pass. That is how you get respect.” Macron’s office confirmed to the AP the veracity of the president’s comments in Le Journal du Dimanche. 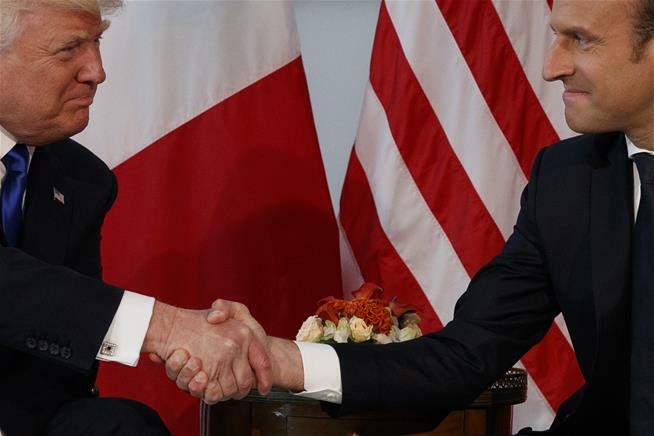 At their first meeting, ahead of a NATO summit in Brussels on Thursday, the two men locked hands for so long that knuckles started turning white. The French leader held the shake for a few seconds more. Both men’s jaws seemed to clench.